So sorry for the four-week absence, life just gets really busy sometimes, especially around the time my little one starts school again. Except, I'm even busier this year since I've decided to take it upon myself to teach her at home. So far homeschooling is pretty fun...for us both! I'll start off with a few cute (short and sweet) reads I found for FREE on Smashwords. It's a slow night for Gracie, the third shift waitress at the Pink Panther Truck Stop, but things are about to get a whole lot livelier when a disgruntled former customer (or at least part of one) shows up looking for some payback... 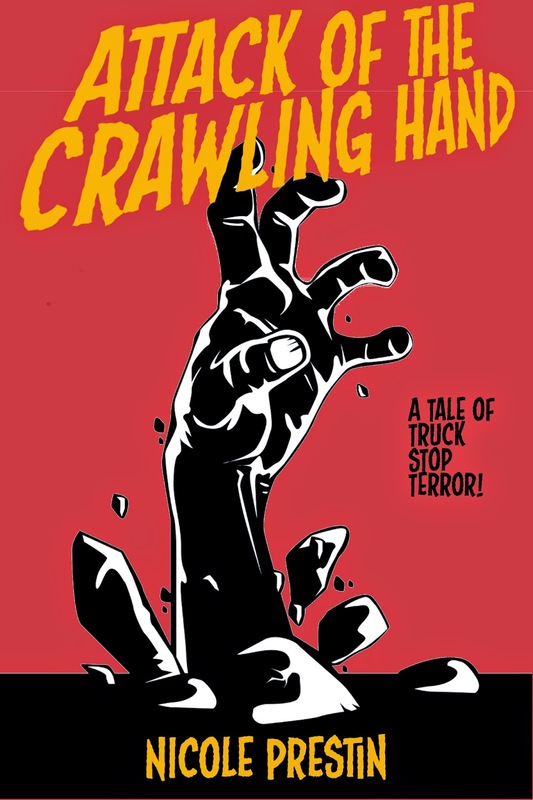 Attack of the Crawling Hand is the first short story in the Tales of Truck Stop Terror series. As the author states, the book reads more like an old b 'creature feature' story, but entertaining and well-written nonetheless. Nicole sounds like my kind of gal so I think I might try to interview her for the blog when I get caught up with everything else I have scheduled. The past should never be forgotten. A foreign student studying in Japan becomes obsessed with the subject of a seventeenth century painting, awakening a dark curse. A young, college student becomes obsessed with a portrait of a woman and the story of her life...which is rather haunting and grotesquely veiled in the mystery of a legend...or is it just legend? This was a quick, entertaining read that I really enjoyed. Though I might mention, before you go download them, that neither of these short stories fall into the Gothic Romance genre, they are merely some quick reads I picked up in the past couple of weeks. I enjoyed them and if you like creepy stories, I think you might enjoy them as well. Since I moved this summer and temporarily didn't have cable (which I barely watch anyway) I treated myself to a creepy boxed set of old vintage movies that remind me a lot of the vintage gothic romance novel and have been slowly making my way through the one's I've deemed 'gothic romance' worthy. Some of them are eerily similar to the storylines of the vintage gothic, other's not so much. You can see a full list of the 50 movies at IMBD. So far I'm really enjoying them, I deem them worthy of the $10 purchase and hope to review my favorites later on. 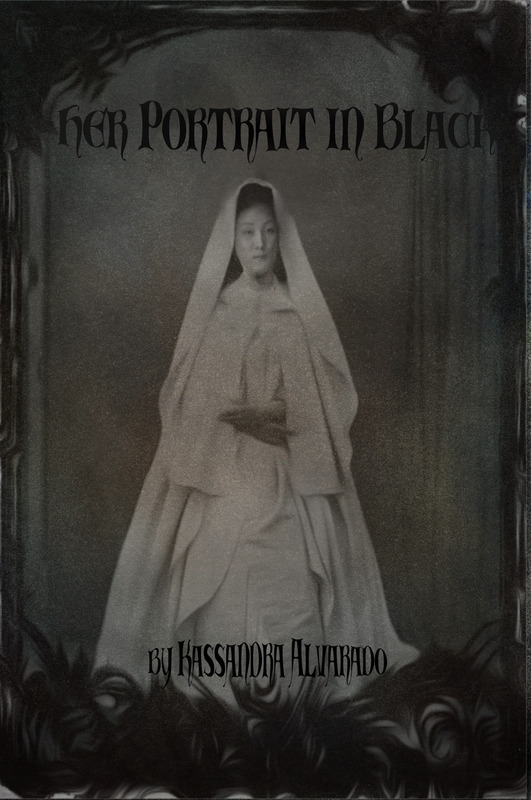 Also, if you noticed, I haven't updated any new segments to my gothic romance novella. Sorry for the delay, I just haven't had the time! But...I am working on a new segment this week. I think from now on I'll be posting a new segment only once a week, and only on Mondays. I do hope you will continue to stop by to read my novel and follow the story! I'm actually compiling a post for a Jane Godman book I read, and my interview with her. I'll be posting the polished review here in a few days, so keep watch for that. Also am currently reading gothic romance novels by Alyne de Winter and Kristina Schram, and have author interviews planned with both of these writers as well (hopefully no later than the end of September, just in case you are wondering when! )....so, looks as if I'll be busy the next couple of weeks! Until next time, I wish you happy reading and writing!! 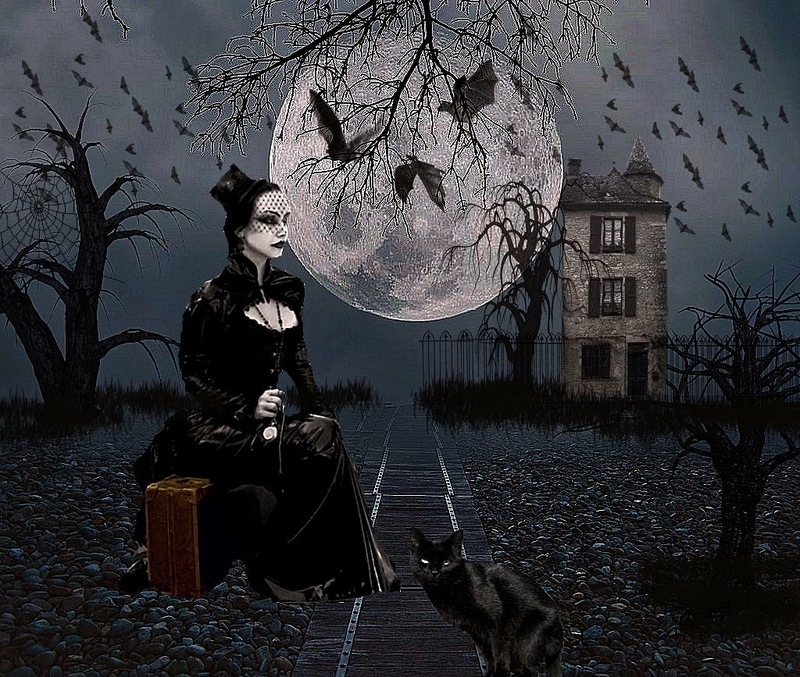 Gothic Romance Artwork: "The Widow"